Foreword: I am looking for colleagues with knowledge or experience relating to the use of archaeological data in the adjudication of Aboriginal rights and title claims in Canada. This blog post summarizes my Ph.D. dissertation research goals and questions. 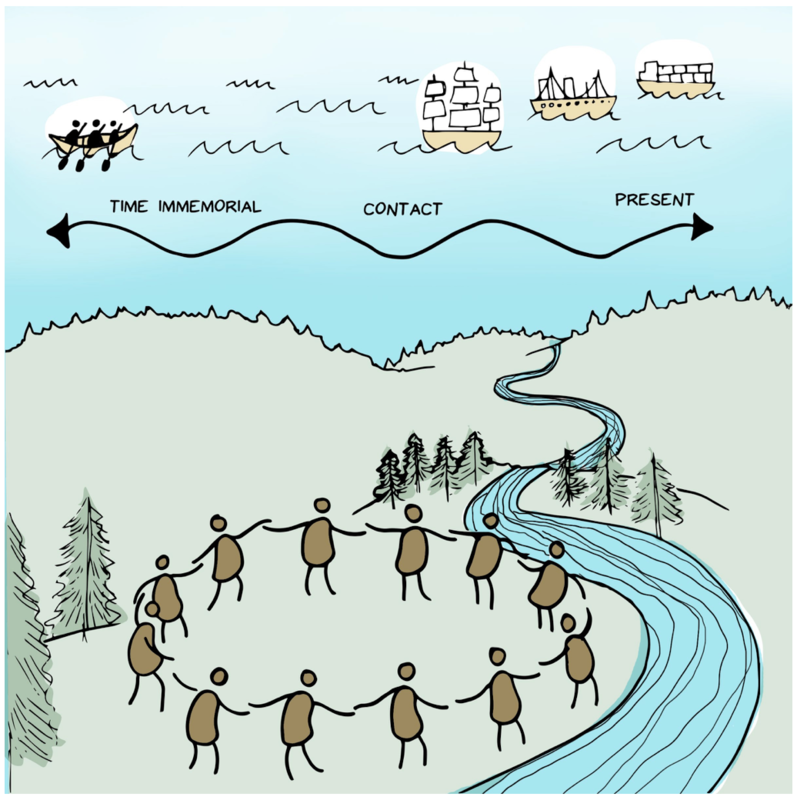 I need collaborators to make sure I am pursuing these goals and questions at the high level demanded by the importance of land claims to the future of archaeology, and vice versa. The images presented here were created by Tiaré Jung of Drawing Change and first appeared in my and Dr. John Welch’s poster at the 2017 meeting of the Society for American Archaeology. They are licensed with a Creative Commons Attribution-NonCommercial-NoDerivatives 4.0 International License, meaning that they can be shared for non-commercial purposes. Archaeology is but one line of evidence courts use. However, archaeology’s role in court decisions has not been studied since the Tsilhqot’in decision. The 2014 Supreme Court Tsilhqot’in decision, one of the latest in the long string of momentous ruling on Aboriginal rights and title, provides the first recognition of Aboriginal title for a designated area of land. Tsilhqot’in reaffirms essential evidentiary standards for proving Aboriginal title and rights—continuous, exclusive, and sufficient occupation of territory. Archaeology, as apparent by the many references to archaeology in precedent-setting cases, is a valuable line of evidence in land claims and Aboriginal rights and title cases. Archaeology’s ability to triangulate with and add time depth to oral traditions and documentary histories make it invaluable in determining Aboriginal rights and title. Although some research has looked at archaeological evidence in land claims, there have been no major studies since Tsilhqot’in. As this decision ostensibly sets standards for adjudicating all future title claims, it is essential to identify archaeological data types, analytic methods, and epistemologies that courts have and will likely continue to recognize as valuable and useful—or not—in land claim cases. First acknowledged by Canada in Section 35(1) of the 1982 Canadian Constitution, Aboriginal rights exist on a spectrum defined by cultural practices and evidenced by archaeology, documentary studies, and oral traditions. Some rights claims are weaker and some are stronger, but all are integral to the group claiming them. For affirmation of land title, the three evidentiary standards discussed below must be met. 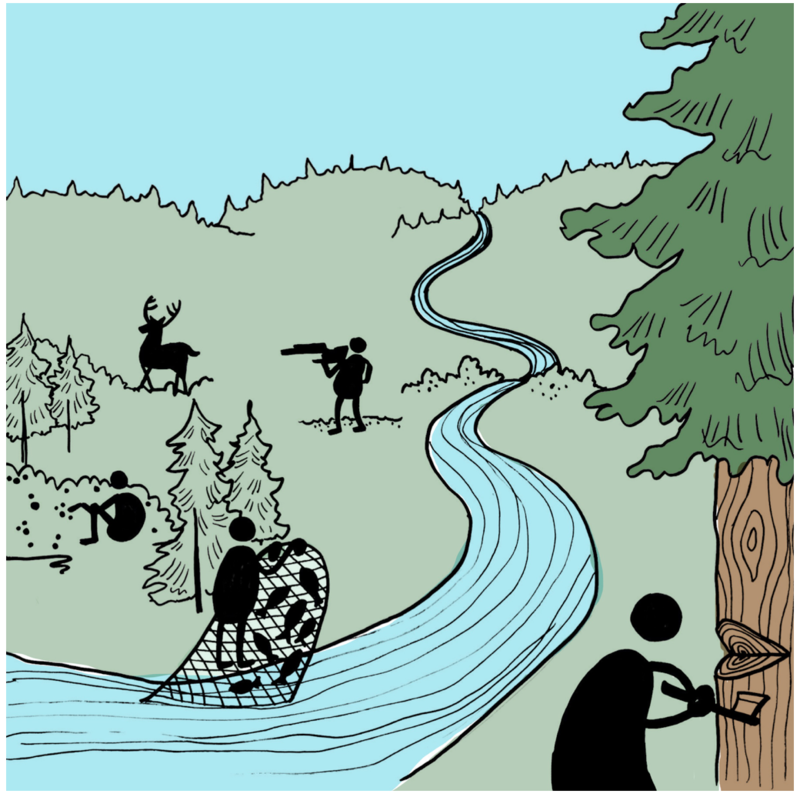 Title is held by the entire community and authorizes occupation, possession, use, and economic benefits of the land. 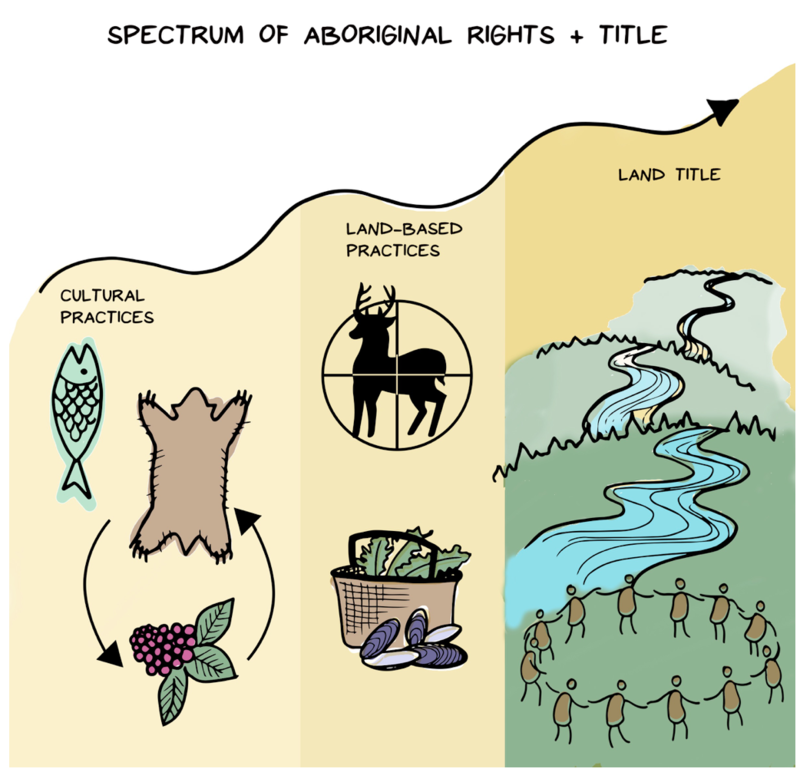 Aboriginal rights in land grow progressively stronger based on land use and occupancy. There are three evidentiary standards required by the courts to prove Aboriginal title. 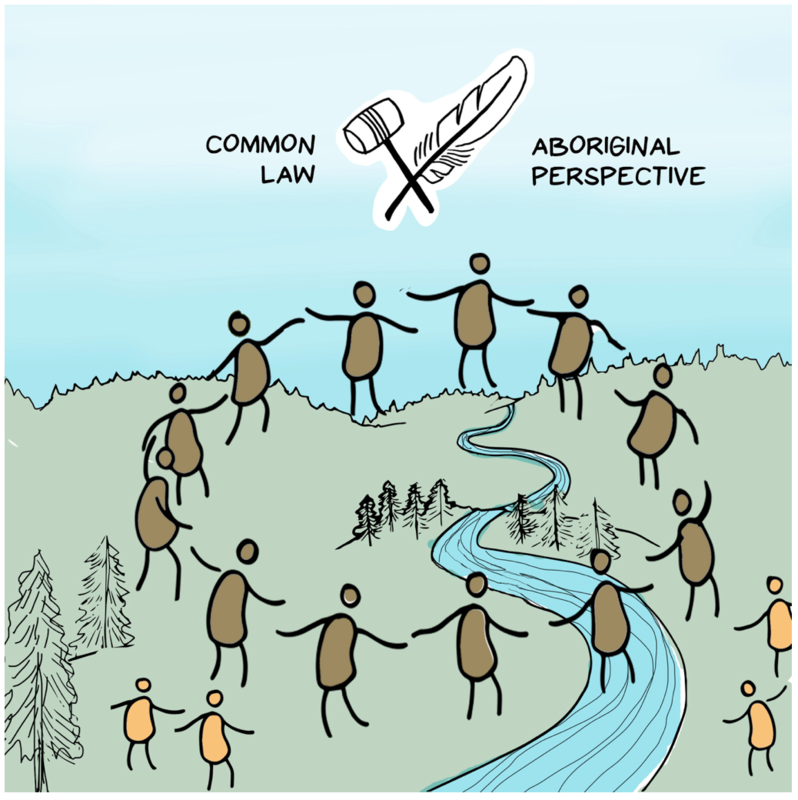 Their definitions and standards required to prove them have evolved over time, from precedent setting cases, common law and aboriginal law, and legal interpretations. The three standards require material proof of continuous, exclusive, and sufficient use of the territory in question. Continuous Occupancy. Requires proof of occupation, without major intervention (i.e., unbroken), beyond contact (1846 in British Columbia). Exclusive Occupancy. Requires proof of intention and capacity to control access to the claimed land using means consistent with group characteristics. Sufficient Occupancy. Requires proof of cultural activities of the claimant group across the territory in question. My objective is to determine how archaeology can best facilitate Aboriginal rights and title claim through contributions to the three evidentiary standards. My research seeks to answer three questions. 1. How have the evidentiary standards to prove Aboriginal rights and title changed over time? 2. 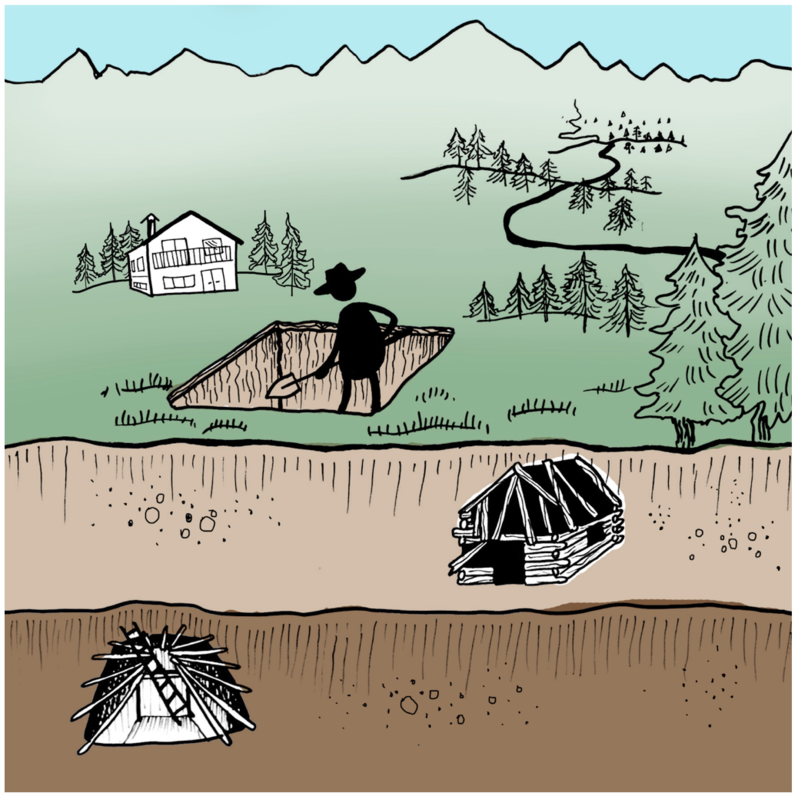 What archaeological methods and data have influenced these evidentiary standards? 3. What types of archaeological evidence are used and when is archaeology used in conjunction with or instead of other types of evidence? By better understanding how the courts consider archaeological evidence, archaeologists can help Indigenous groups regain the territory at the heart of their sovereignty. Archaeology yields evidence courts use to assess Aboriginal title claims. By better understanding how the courts consider this evidence, archaeologists can improve the accuracy and precision of the inferences we make about the past. In addition to the improvements in rigour from mandates to match court-defined standards of evidence, archaeology gains relevance from application in matters of utmost consequence to people and society. Archaeology and archaeological clients deserve to benefit from improved work products. 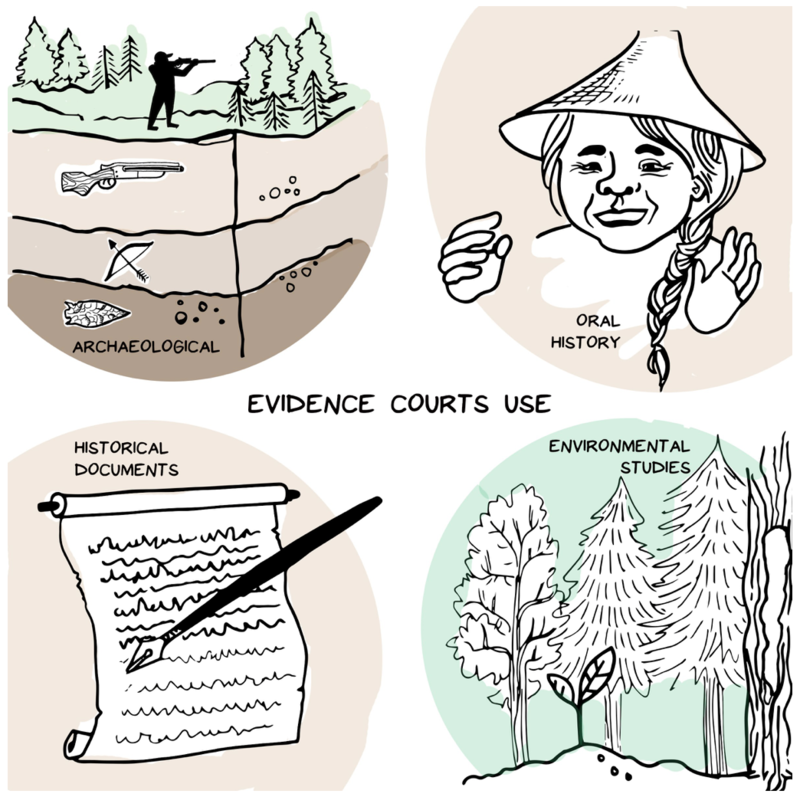 Archaeologists, in having a better sense of what evidence the courts require to prove title, can improve ethical and practical capacities to work with Indigenous communities and with governments at all levels. While I am confident that this research is important, timely, and relevant; I am also committed to finding the best way to address my research questions and to engage with the full audience for this study. Do you have similar research interests? Have you worked on a similar project? What do you know (or suspect) that I am not considering? Have you developed archaeological data that was used to assert or refute land rights or title? Have you been an expert witness or otherwise been part of a land claims or title case? Have you ever been asked to collect data that could be used for land claims or title cases? If you are willing to discuss any or all of these matters, or if you know someone who I should engage, please contact me by email at ehogg@sfu.ca or through my website: http://www.erinhogg.ca, or through my supervisor, Dr. John Welch: welch@sfu.ca.